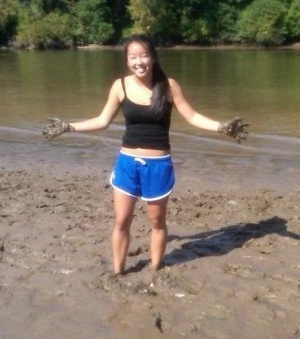 If you would like to join the LinkedIn group for the William & Mary Marine Science Program, contact Liz Canuel. I graduated from William & Mary in 2017 with a degree in Geology and a minor in Marine Science. As an undergraduate, I became interested in Marine Science while doing research and working with Dr. Chris Hein in the Coastal Geology lab at VIMS. My research focused on the evolution and response of barrier island systems and other coastal environments to changes in climate. Since graduating, I have been working in the Coastal Geology lab as a full time Lab and Research Specialist. 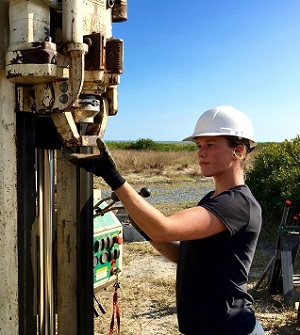 In this position, I’ve had the opportunity to participate in several field campaigns on the Virginia Barrier Islands to collect data for ongoing research projects and have gained experience analyzing and processing this data. I plan to continue this work in the future with a career in coastal research. I graduated in 2017 with a BS in Biology and a minor in Marine Science. After graduation, I interned at NASA Langley Research Center. I worked with Dr. Jin Ho Kang and the Advanced Materials and Processing Branch there to develop novel solar sail hardware materials. I characterized the mechanical, thermal, and optical properties of candidate sail materials under a simulated space environment. In August 2017, I began pursuing my doctoral degree at VIMS. I am co-advised by Drs. Eric Hilton and Deborah Steinberg and I am interested in the effects of climate change on the larval fish assemblage of the Western Antarctic Peninsula. The excellent undergraduate courses, mentorship, and research opportunities at William & Mary prepared me well for graduate school. The Marine Science minor in particular offers amazing opportunities that are not readily available at most other undergraduate institutions. I graduated from William & Mary in 2017 with a BS in Biology and Chemistry. Even though a conflicting course load prevented me from taking the introductory marine science courses, I participated in research in marine science throughout my tenure at W&M, VIMS, the University of North Florida, and the National Museum of Natural History through NOAA. I am currently working towards my doctorate at the University of Kansas in Ecology and Evolutionary biology. I work with jellyfish, more specifically hydrozoans. I am interested in the evolutionary and ecological influences on venom production and diversity, and the functions of specific genes and proteins within venoms. I graduated from William & Mary in 2017 with a degree in Geology and a minor in Marine Science. I spent the summer after graduation working at Riverbend Park in Northern Virginia where I combined GIS and field work to conduct a pond survey for a data-poor area. Species and vegetation count and identification, and water quality measurements were the focus of the survey. I am now working on my Masters of Professional Science (MPS) in Marine Conservation at the University of Miami Rosenstiel School for Marine and Atmospheric Science. This program will allow me to participate in a 6 month internship, and graduate by December 2018. My internship plans are to either conduct research on an oceanic cruise, stay in Miami to focus on combining geology with marine conservation, or to work with organizations such as Sailors for the Sea to promote clean practices to reduce pollution, our carbon footprint, and other forms of anthropogenic ocean pollution. My long term goals are similar to those of my internship, but I like to keep my options open because unforeseen opportunities may come my way. I graduated from William & Mary in 2016 with a major in Biology and a minor in Marine Science. After graduating, I enrolled in a Master's program at the University of Alaska Fairbanks. My thesis involves studying offshore Aleutian epibenthic communities and their relationships to the environment and nearshore communities. 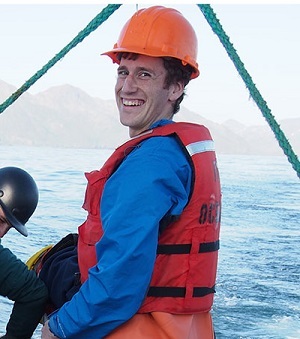 As part of my lab work, I participated in two month-long research cruises to the Aleutian Islands to conduct benthic trawls and various nearshore dive operations. The courses I took and research I did as an undergraduate at William & Mary helped to prepare me for my master's program and current thesis work. In the future, I hope to continue conducting research in marine biology. I graduated from William & Mary in 2016 with a BS in Biology and completed the Marine Science Minor. I am currently pursuing my PhD at VIMS. During my junior year at W&M, I sailed on the annual Palmer Antarctica Long-Term Ecological Research cruise with my graduate advisor, Dr. Debbie Steinberg. I have continued working on this project and will spend a five-month field season at Palmer Station to investigate seasonality in the coastal Antarctic food web. I am also excited to help teach the W&M undergraduate courses that inspired me to pursue a career in marine research and education. I feel fortunate that my work has brought me to many beautiful places and has led to many dear friendships. I graduated in 2016 with a degree in Biology and a minor in Marine Science. As an undergraduate, I spent summers and my free time during the semesters working in various labs at VIMS. After graduation, I spent a year working full time as a Research Specialist in Dr. Michael Unger’s lab at VIMS, with whom I became connected through taking Fundamentals of Environmental Chemistry, Toxicology, and Pathobiology for the Marine Science minor. 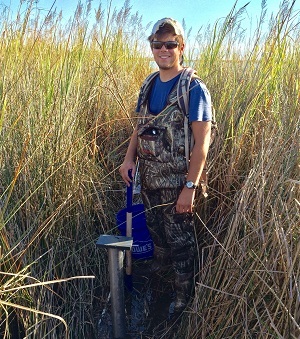 I have worked extensively with a novel, antibody-based biosensor instrument to detect concentrations of a class of organic pollutants known as polycyclic aromatic hydrocarbons (PAHs) within estuarine sediments at an industrial site along the Southern Branch of the Elizabeth River in Chesapeake, VA. These compounds are potentially carcinogenic and pose a risk to human health when they become biologically available in the water column. Having started as a graduate student at VIMS this past fall, I hope to expand the application of this technology by looking at PAH concentration in oyster serum to determine contamination within oyster reefs. I graduated from William & Mary in 2016 with a BS in Geology and a minor in marine science. 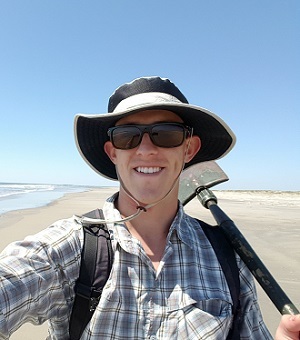 After graduating, I enrolled in the Master’s program in Secondary Education Curriculum and Instruction at William & Mary with the goal of becoming a high school earth science and oceanography teacher. Since summer 2017, I have been working as an outdoor educator at a marine science camp on Catalina Island, California. The Catalina Island Marine Institute (CIMI) runs three to five day experiential programs for 4th to 12th graders. Students experience snorkeling, kayaking, hiking, and labs, while learning more about the island ecology and geology. Starting next year I intend to teach high school in a California school. The combination of experiences I had while studying at William & Mary, working in labs at VIMS, and completing the marine science minor program introduced me to my passion for science communications. 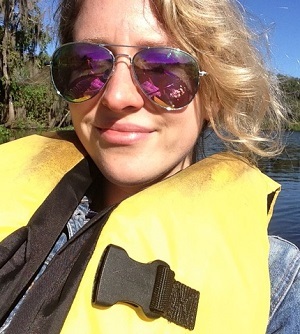 As an undergraduate, I served as an EcoAmbassador with the College's Committee on Sustainability, writing blogs on sustainable research being conducted at W&M and VIMS. Since graduating in 2016 with a B.S. in biology and a minor in marine science, I have been working in Washington D.C. in science communications. I began my career at the National Academy of Sciences where I worked with the media and public relations officer, writing pieces on soon-to-be published papers, and producing podcasts. Currently, I am the social media producer at the Smithsonian's National Museum of Natural History and spend every day working with our collections, researchers, and staff to create engaging and informational content that gets our online audiences excited about science. During my time at William & Mary, I spent many rewarding hours in the labs at VIMS and on the shores of the York River and decided to pursue a career in science communication so that I could share my passion for marine science with others. After completing my undergraduate degree in Biology with a minor in marine science, I went on to earn a Master's degree in Science Journalism from Stony Brook University. 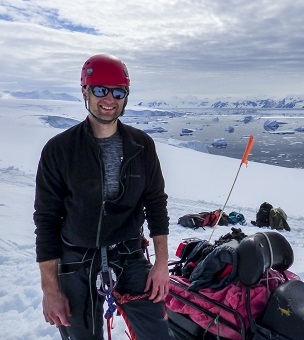 While studying at Stony Brook I took a semester off to work as a laboratory technician for VIMS professor Debbie Steinberg as part of her annual research trip to Antarctica, an experience offered to William & Mary undergraduates and recent graduates. My time in Antarctica left a lasting impression and I continue to use the knowledge I gained in my work today. 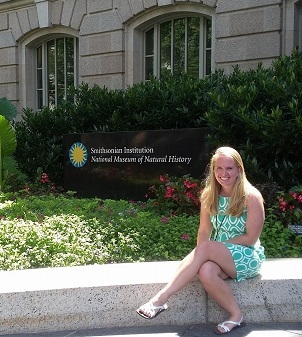 I also completed an internship as a science writer at the Smithsonian National Museum of Natural History's Ocean Portal website, an internship that later evolved into a full-time position as digital producer of the website after graduation. I am currently working at the Ocean Portal where I write about everything from cephalopods, to ocean acidification, to bioluminescence and I am loving every second! Next on tap is getting my feet wet as a certified research SCUBA diver. I vividly remember stepping onto the sandy beach near the VIMS Eastern Shore lab on our first field trip, and our professor welcoming us to “the best classroom at William & Mary.” That was only the beginning of many adventures through the Marine Science minor program, including a study-abroad field course in Wales and a presentation of my story about VIMS sea level rise research at William & Mary’s annual Science Communication Symposium. These experiences gave me the confidence to pursue a career in science communication. I became the first student to graduate from William & Mary with a major in English and minor in Marine Science. I’ve collaborated with a variety of clients, from government agencies and research consortiums, to non-profits and academic institutions (including Virginia Sea Grant and the Virginia Coastal Policy Center) to identify communications solutions. 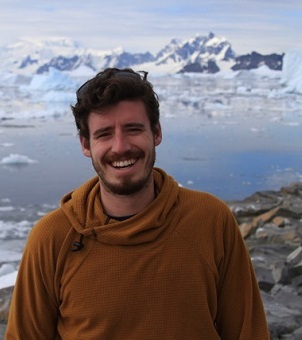 I am currently a Marine Research Fellow with the International Union for Conservation of Nature, where I work with the Global Marine & Polar Programme and the Sargasso Sea Commission on digital marketing and international environmental policy. After graduating from W&M, I moved to Cincinnati and started working at the zoo and botanical garden in the visitor experience department. Eventually became a supervisor and stayed there for two years. During my time at the zoo, I also did an internship as a keeper with the insecterium where I took care of many invertebrates, including insects, arachnids, and crustaceans. 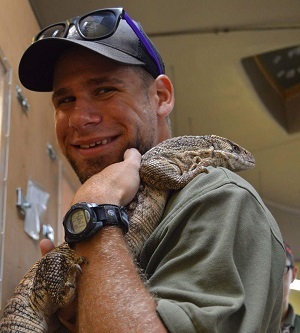 I also worked with reptiles and birds. In December of last year I moved back to Seattle and to work as an operations supervisor at the Pacific Science Center. I am looking forward developing my career in the non-profit world while continuing to work in a scientific field. I graduated from William & Mary in 2014 with a major in Biology and a minor in Marine Science. After graduating, I worked for 6 months in the Education and Public Outreach Department at the American Geophysical Union in Washington D.C. before deciding to go back to school. In the summer of 2015 I started my doctoral degree in sediment ecology at the Dauphin Island Sea Lab on Dauphin Island, AL. Eventually I hope to be a professor, doing my own research and inspiring students with the same love of marine science that inspired me at William & Mary and VIMS! I established Dr. Jaws - a brand of shark books and media that hybridizes art, science, philosophy and ocean lore into comprehensive presentations of U.S. Mid-Atlantic shark species - during my junior year at W&M. Since then (2012), Dr. Jaws has expanded into a series of seven books, a podcast (Sharks & Coffee), an educational lecture circuit (Sharks of the Chesapeake) and an extensive collection of sharky tweets, posts and videos on Twitter, Facebook and YouTube. I graduated W&M in 2014 with a B.S. in Biology and a focus in Marine Science. While at W&M, I was a camp counselor for several children’s camps at VIMS in Gloucester Point and on the eastern shore of Virginia. I took classes at VIMS as a part of my minor in marine science. I never had a professor or class for that degree that I didn't LOVE. I went to Wales to fulfill my field portion of the minor, and I still keep in touch with and regularly visit my professor from that class. After my wonderful experience at VIMS, I went on to get my Master's degree in biology at VCU studying plant ecology on Virginia Barrier Islands. I have published my research investigating the effects of the wax myrtle shrub on Hog Island’s physical, chemical, and biological elements. Currently, I am an environmental scientist at an engineering firm called VHB. I specialize in Virginia rare, threatened, and endangered plant surveys, wetland and stream delineations, mitigation monitoring, and assist in all types of consulting which compliment this work. I travel across the eastern US for my work and very much enjoy my work. I graduated from William and Mary in 2014 with a degree in Biology and Marine Science. 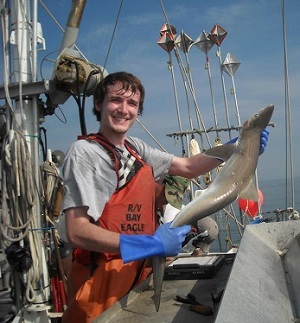 As an undergraduate I worked in the Fisheries Department at VIMS for projects such as the Juvenile Striped Bass Seine Survey, Blue Catfish Mark-Recapture Survey, the Juvenile Fish Trawl Survey and American Eel Surveys. 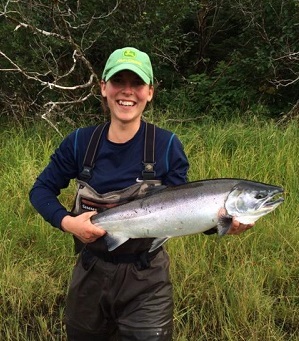 Since then I worked with the Oregon Department of Fish and Wildlife on coastal rivers studying adult Chinook Salmon and with the Prince William Sound Science Center studying pink and chum salmon in remote Alaskan streams. I am currently working in Washington State in the Natural Resources Department of a Native American Tribe, continuing my work with Pacific Salmon and contributing to the restoration to the local watershed. I graduated in 2013 with a BS in Biology and Environmental Science. At William & Mary, I co-founded the W&M Marine Science Society—an official student organization focused on linking undergraduate students with marine science volunteer, research, and social activities. 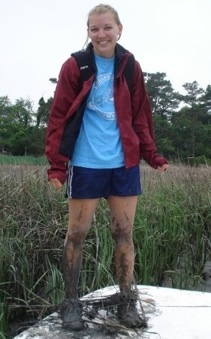 I also conducted oyster reef restoration and conservation research as an undergraduate at VIMS through the NSF Research Experiences for Undergraduates, W&M Monroe Scholar, and W&M Honors Fellowship programs. After graduation from W&M, I began my PhD research in marine conservation ecology at NC State University with competitive funding support from the Department of Defense National Defense Science and Engineering Graduate Fellowship. In 2017, I completed my PhD and began work as a Marine Spatial Ecologist in a joint position with The Nature Conservancy and NOAA based in Washington, DC. My undergraduate experiences at W&M inspired and affirmed my interest in pursuing a career in marine science and conservation. 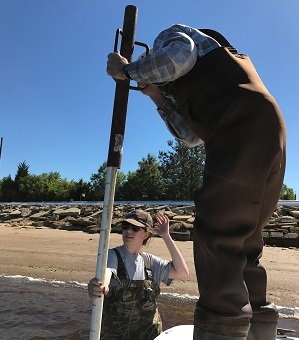 I strongly encourage current W&M undergraduates to both make the most of the fantastic resources that W&M and VIMS provide, and to seek out new opportunities to help the W&M marine science community continue to flourish! 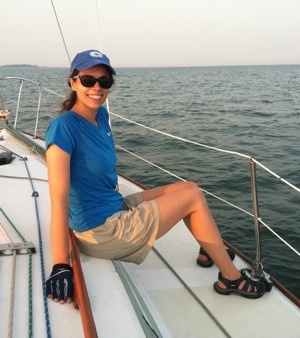 As an undergrad at the College, I majored in geology and minored in marine science, was an active member of the W&M Sailing Club and W&M Students for Belize Education, and was a soccer coach for Coaches for Community Partnership. This fall, I will be complementing my science background with business by attending the University of Virginia's McIntire School of Commerce for a Masters in Commerce with a concentration in Marketing & Management. After the one-year program, I hope to get involved in environmental consulting or work in developing environmentally-friendly corporate practices for businesses. I also hope to travel as much as possible before settling down in one place. I graduated from William & Mary in May 2012 with a major in Biology and minor in Marine Science. 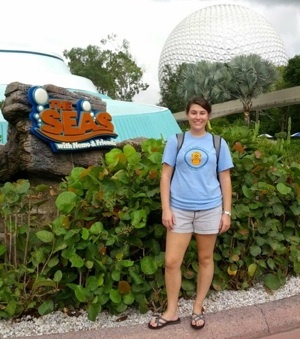 I am an Aquarium/Marine Biology Professional Intern at The Seas with Nemo and Friends Pavilion at Walt Disney World. As a member of the Aquarium Team, I perform animal husbandry and training daily for many marine organisms such as fish, eels, and elasmobranches. I also interact with guests daily and have opportunities to provide marine science education to the public. To be successful in my internship, it is required that I have thorough knowledge of marine science. Fortunately, I was very well prepared thanks to the graduate and undergraduate level classes that I took to complete the Marine Science minor. 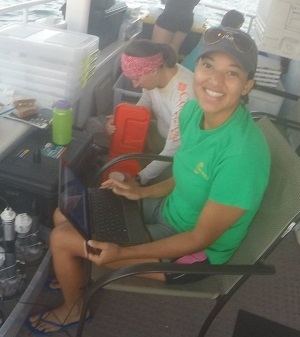 Connections that I have made with VIMS and William & Mary professors through the minor and my exploration of marine science will help me to explore many career options from graduate school to becoming an aquarist and I am very excited to pursue a career in marine science. I am currently a Master's student at the Virginia Institute of Marine Science. I graduated from William and Mary in May 2011 with a major in Biology and minor in Marine Science. My thesis project is a study of the effects of intense turbulence on marine phytoplankton, a topic I became interested in while participating in undergraduate research in Dr. Jon Allen's lab at W&M. Taking graduate-level classes through the Marine Science minor and assisting VIMS professors and students with their research projects (from coral reef surveys to GIS mapping) gave me invaluable insight into the world of academia. I'm about to enter my second year at VIMS and am looking forward to continuing the career path I began when I enrolled in the Marine Science minor! 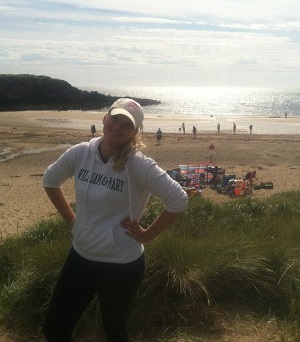 I graduated from William & Mary in January 2011 with a degree in Biology and a minor in Marine Science. I also received a Master's degree in Curriculum and Instruction from William and Mary in May 2012. I am currently a high school Biology teacher for Northumberland County Public Schools. I also work at an oyster hatchery during the summer, where I specialize in oyster aquaculture and algaculture. The education I received through my Biology and Marine Science classes greatly prepared me for my work in the oyster industry. Many of my classes were held at VIMS, which allowed me to make many connections with researchers that I have carried over into this profession. I will be taking my students to visit the hatchery in the fall, hopefully instilling in them a love for the Chesapeake Bay and all things marine!